The Sports Centre has two fitness locations where you can train almost through all the year (7 days a week). To be able to get into Power Station at ACLO Station, you must follow a two day intro course there. You can buy your Fitness Card for only €65,- at the information desk at the sportscentre or online and have unlimited access to the fitness centre. The card is valid from the 1st of September until the 31st of August (from februari you can buy your Fitness Card for February until September for €40,-). For more information on fitness and our two locations click here. And you can find the opening hours for our two locations here. For people without experience in fitness or who want to learn more about it, the ACLO offers a 5 week fitness course. This takes place in the WAS. You will learn everything you need to know about fitness so that after the course you will be able to train by yourself. Make sure to bring your sportsclothes and a towel. You can enter through the gate with your student card. If you hop over the gate, your card will be blocked after one warning. It’s not allowed to workout with someone else’s student card. The TRX training system is a new way of working out which involves the entire body. By using your own body weight and the force of gravity dozens of exercises become available. These exercises challenge and stimulate the body. The advantage of the TRX training is that it doesn’t just focuses on certain muscles but mainly trains the core muscles. Your strength, flexibility, endurance, speed and coordination will improve with just one dynamic training method. Enroll for the course to experience a new way of working out! Attention: If you want to use the TRX training system you need a working fitness card. 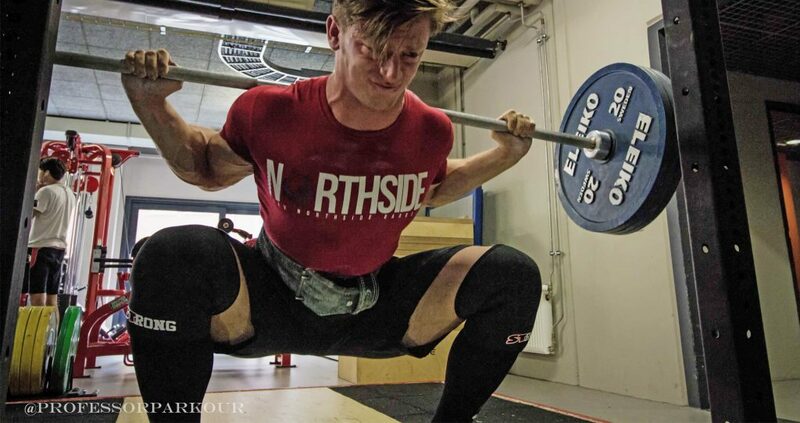 Are you more interested in powerlifting? Take a look here or visit the website of our Sports club G.S.K.V. Northside Barbell.